Paul Farrington is one of the world’s leading Classical Voice teachers and Vocal ‘troubleshooters’, and works with some of the world’s foremost names in opera, concert and musical theatre. 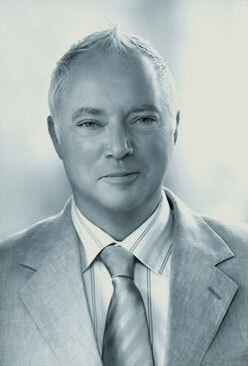 Following a career as a classically trained tenor, he was among the first to be awarded a Vanguard license by Jo Estill, enabling him to teach her Estill Voice Training™ model worldwide,and is now a Certified Course Instructor with Service Distinction & Advanced Testing Privileges with EVI, the mother company for the Estill Model training. & has also served on the Advisory board of EVI. Paul is currently vocal consultant to the Royal Opera House Covent Garden, New National Theatre Tokyo and Göteborgs Operan in Sweden, & Charles Wood Summer School Northern Ireland. He also regularly gives masterclasses around the world, including a series of live-to-air masterclasses on Operación Triunfo on Spanish television. Among his latest major projects Paul was vocal coach and music director on the movie ‘Quartet’ Directed by Dustin Hoffman and which was released in Jan 2013, & Music Consultant and coach to the Oscar nominated film production of ‘The Theory of Everything’ for Cosmos/Working Title Films, released in Jan 2014. Paul was appointed Professor of Opera and Vocal Pedagogy at the KhiO, Norwegian National Academy of the Arts in March 2014, But maintains his regular teaching studio in Central London. In his spare time, Paul enjoys Pilates, Yoga, Cooking, Fine wines and Theatre, though not necessarily in that order !